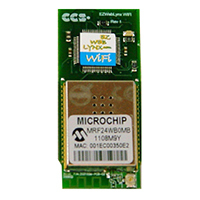 Add wireless monitoring and control capability to your products with EZ Web Lynx WiFi - 3.3V. Eliminate the complexity and cost of developing your own RF circuitry. It also features a higher performance MCU with additional PWM and timer channels for more demanding applications.